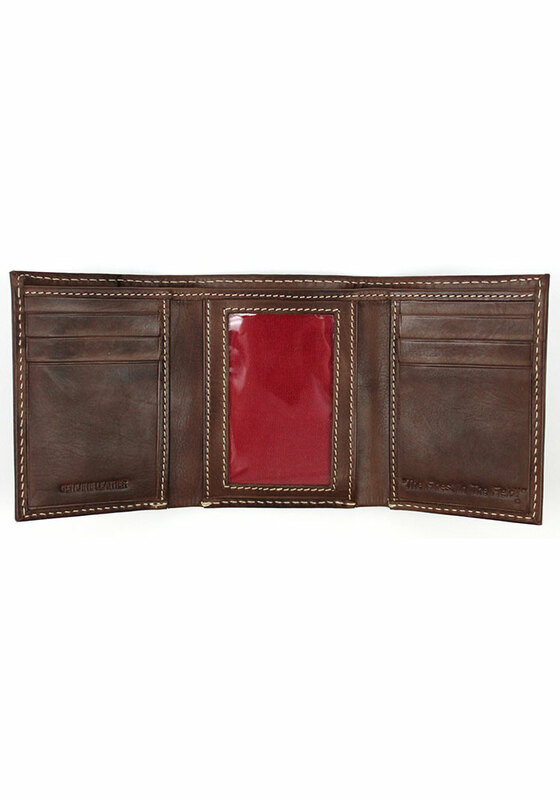 This Brown Rawlings Leather Mens Trifold Wallet will keep your money and your pride handy. This Mens Trifold Wallet features a vintage pre-washed look in a rich and warm Brown leather. This trifold wallet features baseball stitch detail, multiple credit card slots, and a clear ID window. Rawlings has a deep history of providing quality gear for baseball players everywhere. 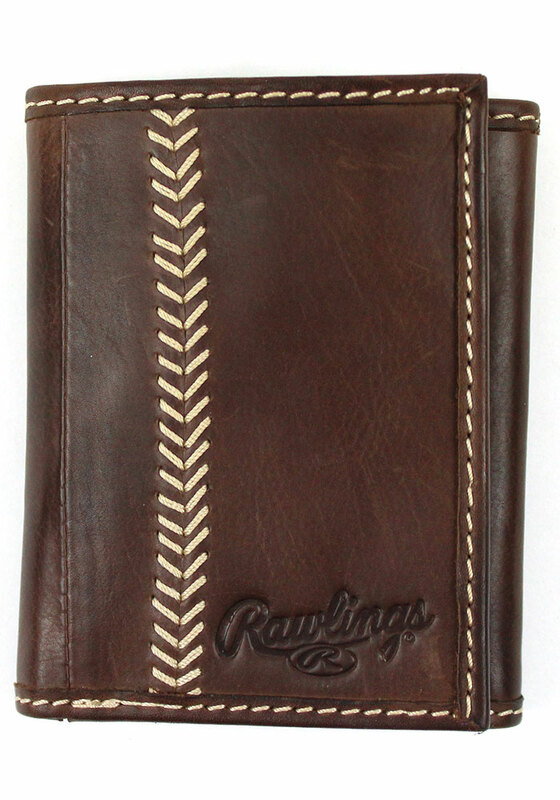 Be a part of the game with this Rawlings wallet.